Greenwich Place—which started its life as a New York-style Georgian brownstone development—has now gained WeHo city approval after being redesigned Jetson-style, reports the WeHo News. 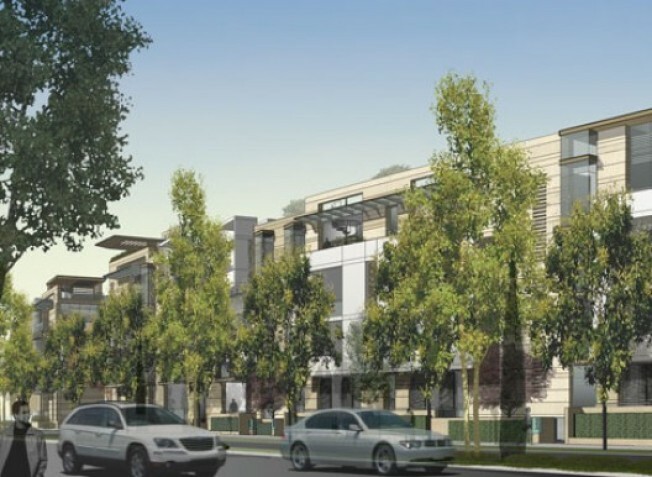 Developer Turnberry now has the go-ahead to begin construction on the 151-unit apartment building at Beverly and San Vicente. The project will have a rooftop swimming pool, gads of commons space, and 35 affordable units, making it the largest affordable housing complex every approved for construction in WeHo. Seems the city was more amenable to the new design, which may be best described as The Rachel (layers, layers!) No timeline on construction; architect is VTBS, the folks behind the NoHo Commons. Images via VTBS; the last image more clearly shows off the design.